New Montgomery Florist has been hand-delivering premium floral arrangements and gift baskets to help strengthen relationships, give love and support, and celebrate life’s special moments . From birthdays to anniversaries to commemorating a loved one, and every little “just because” moment in between. 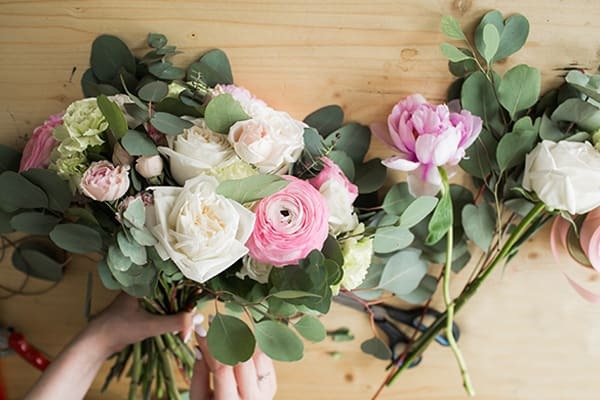 With Same Day Delivery in the Montgomery City, MO area, we are dedicated to helping you find the perfect flowers to deliver your message and enhance your special occasion. Our stunning arrangements will allow nature’s beauty to inspire your special moment. And because we are a local florist dedicated to your satisfaction, you can always expect your needs to be treated with all the attention to detail they deserve. Choosing our Florist’s Choice Bouquet gives your gift that personal touch. Once we have expertly handcrafted your order, we will ensure it arrives at its destination on time, hand-delivered. Impress your friends, family, and loved ones with a heartfelt gift from New Montgomery Florist. New Montgomery Florist is a family owned and operated flower shop run by Freda L. Wright in Montgomery City, MO. New Montgomery Florist offers the Montgomery City, MO area superior floral arrangements and assortments. Our deep-rooted passion for flowers, along with our dedication to service, makes us the ideal choice for any occasion! We buy direct from local growers to ensure only the highest quality flowers are used in all our arrangements. We pride ourselves on our prompt same day delivery service, backed by our 7 day freshness guarantee. It is our mission to have each and every customer leave with a smile on their face. Freda L. Wright owns and operates New Montgomery Florist. With over 30 years of custom unique floral design, this shop owner delivers reliable service that has made New Montgomery Florist the choice florist of Montgomery City. Freda L. Wright is dedicated to making any occasion more special than the last. Whether your looking for a stunning floral arrangement, gift basket, speciality event floral work, wedding, or sympathy florals, New Montgomery Florist will have you covered every step of the way. We also provide a unique variety of greeting cards, balloons, and chocolates to curb any sweet tooth. Freda L. Wright's creativity is not just reflected in her work at the shop, but also at home during her down time. At any given moment, Freda's home can be filled with the delightful smell of a home cooked meal prepared with veggies she canned herself. Then accompanied by fresh baked cookies to follow for desert. When it comes to this shop and its owner, the creativity is certainly not lacking. If you stop by in person or order online, the service will always be kept to the highest of standards. We will welcome you with a warm smile and an open heart that will keep you coming back for years to come.